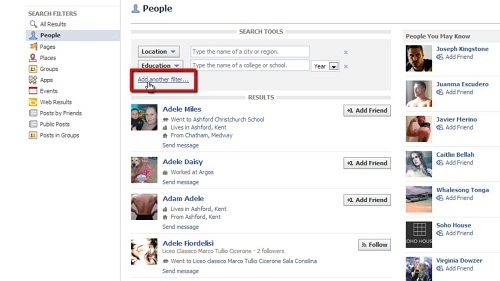 In this tutorial, you are going to learn how to use Facebook advanced search. 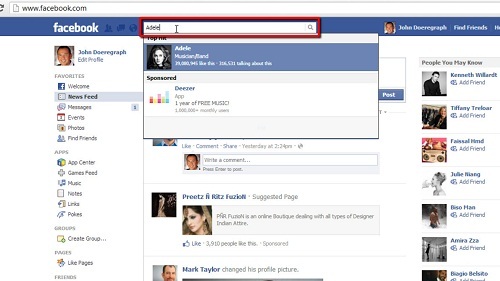 First, go to “www.facebook.com” and login to your Facebook account. Next, type your search phrase into the search box located on the top of the page, to the left of the magnifying glass icon. You may type in the name of a person or the name of an interest, a place, an app, a music artist, etc. When you have finished typing in your search phrase, you will see “See More Results For ” at the bottom of the drop-down results for your search. Click on this link, and the advanced search filters will come up in the left-hand navigation bar. From here, you may narrow down your search by any of the options listed, including People, Pages, Places, Groups, Apps, etc. If you click on the “People” search filter, you will see an option to further refine your search by adding any or all of three filters: “Location,” “Workplace,” and “Education” (which includes the date). 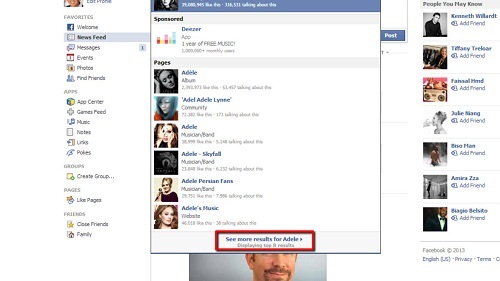 That’s it, you have now learned how to use Facebook advanced search.